The left-wing Syriza party's victory in the 2015 Greek parliamentary election on top of promises to end the troika-imposed austerity program threatens to shake up the European Union's entire financial system. However, the party's leader appears to be seeking a middle path as the movement is unprepared to risk its popularity to enact major changes. The decision on the transfer of funds to Greece is expected to be made "later this week." 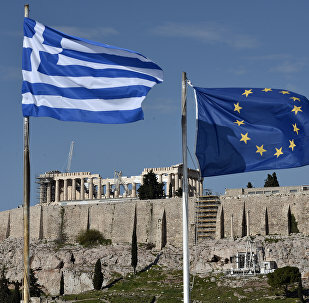 Greece may receive the first installment of $8.3 billion as part of the $11.5 billion bailout payment by late June, European Stability Mechanism (ESM) Managing Director Klaus Regling said Wednesday. The finance ministers of the euro monetary zone have agreed to unlock 10.3 billion euros ($11.5 billion) of bailout money to Greece, Eurogroup President and Dutch Finance Minister Jeroen Dijsselbloem said early Wednesday. 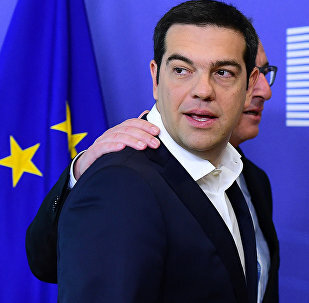 The euro monetary zone’s finance ministers may distribute the Greek bailout in two $8.3 billion and $3.1 billion installments in the summer and fall, European media reported from the Eurogroup meeting Tuesday. Greece will receive much more than 5.7 billion euro ($6.5 billion) in the second tranche of its bailout within the framework of the European Stability Mechanism (ESM), a Finance Ministry source said Monday. An emergency meeting of the Eurozone finance ministers regarding financial assistance for Greece scheduled for Thursday was cancelled, a spokesman for the Eurogroup president said. The Greek finance minister noted progress in talks with Athens' international creditors although no agreement had been finalized. Greek debt relief is not on the agenda of the ongoing talks between Greece and its European creditors, a spokesman for the German Finance Ministry said Monday. Greece asked the International Monetary Fund (IMF) to explain whether it was planning to coerce Athens into new austerity measures on Saturday, Greek government spokeswoman Olga Gerovasili said. The International Monetary Fund (IMF) does not show the proper seriousness in negotiations regarding the Greek government's reforms, a source in the Greek Finance Ministry said Friday. 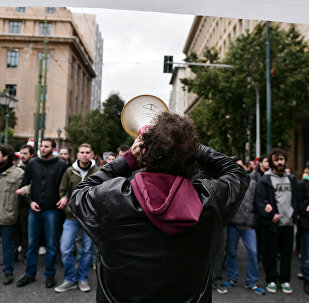 Thousands of workers, farmers, professionals and pensioners are staging a 24 hour national strike in Greece on Thursday. Flights are grounded trains and ferries are stationary and hospital wards and schools are closed. Scuffles have broken out in central Athens between protesters and police using tear gas. Greek Prime Minister Alexis Tsipras will travel to Iran for a state visit on February 7-8, the prime minister’s press office said Monday. The Panhellenic Seamen's Federation (PNO) extended on Friday its industrial action against planned pension reforms in Greece into January 31, PNO's head Yannis Halas said. A year ago, Alexis Tsipras and the left-wing Syriza party were voted to lead Greece out of austerity. Six months later, the Greek PM admitted defeat and signed up to Troika's demands to keep the country in the Eurozone. On the anniversary of Tsipras’ leadership, questions are being asked as to what the Syriza government has achieved for Greece. 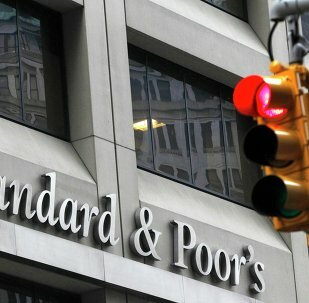 The Standard and Poor's credit-rating agency (S&P) has raised Greece's long-term sovereign credit rating from CCC+ to B-, the agency's press release said Friday. 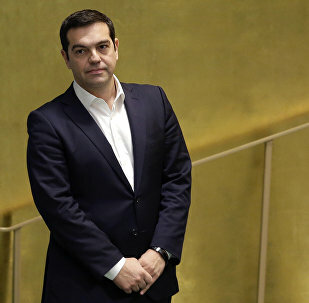 Greek Prime Minister Alexis Tsipras and Director of the International Monetary Fund (IMF) Christine Lagarde agreed to establish a direct link between Athens and the fund, the press service of the Greek prime minister said in a statement Thursday. Greek farmers protesting against pension reforms have blocked Agricultural (Rural) Development Minister Vangelis Apostolou in a regional administrative building in the city of Komotini in the northeast of the country, the Kathimerini newspaper reports. 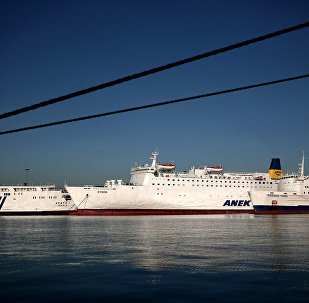 There are certain forces in Europe that want to hinder the talks on the next bailout for debt-stricken Greece, a source in the country’s government said Friday. Alexis Tsipras promised not to cut pensions for the 12th time.